Galilee Christian Church Cemetery Survey; Meadow Creek Church Indenture; Rev. John Lawrence and Some of His Descendants; Given Names and Their Alternative Forms; Excerpts from Clinch Valley News, 1886-1890 (continues in next issue). 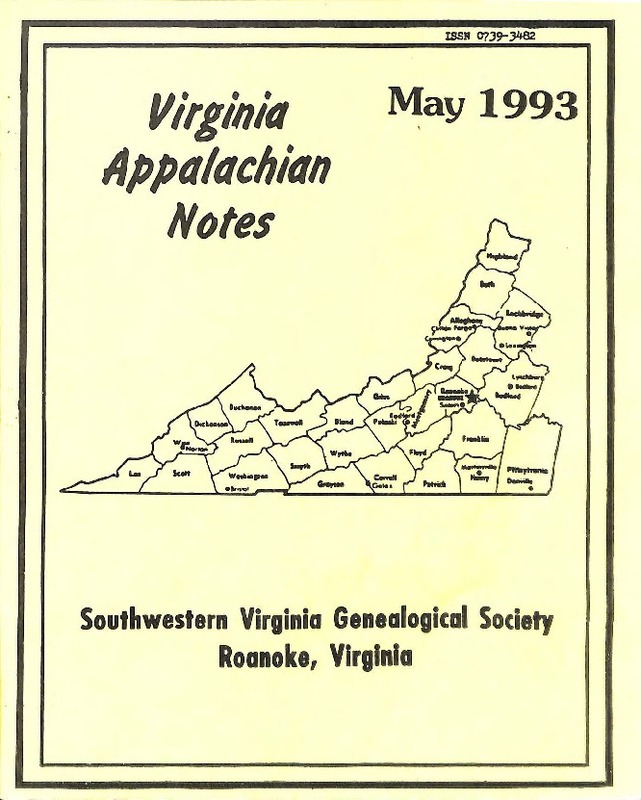 Southwestern Virginia Genealogical Society, “Virginia Appalachian Notes, Volume 17, Number 2,” Virginia Room Digital Collection, accessed April 19, 2019, http://www.virginiaroom.org/digital/document/VANv17n2.